I think I’m actually turning into my mother! The signs have been there for a while … there’s the need to iron everything (tea towels included) and the comments that clearly leave my mouth but actually channel her. More recently however there’s been a new development; an inexplicable inability to walk past a great gift option and not think “oh, I should get that and put it in the cupboard in case I need a gift”. The bottom shelf of my linen cupboard is starting to look like a mini department store. 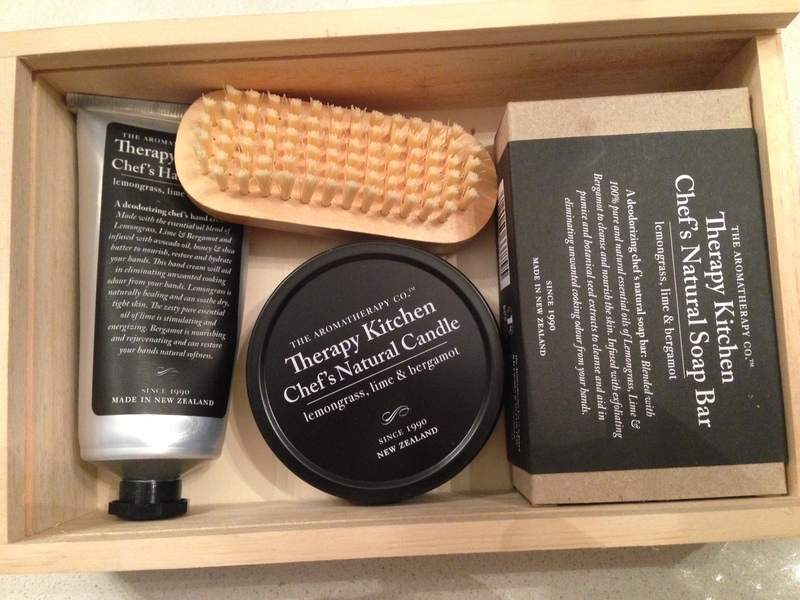 Anyway – while the stock levels may be rising, I actually found a great gift set this week that I like so much I bought two! 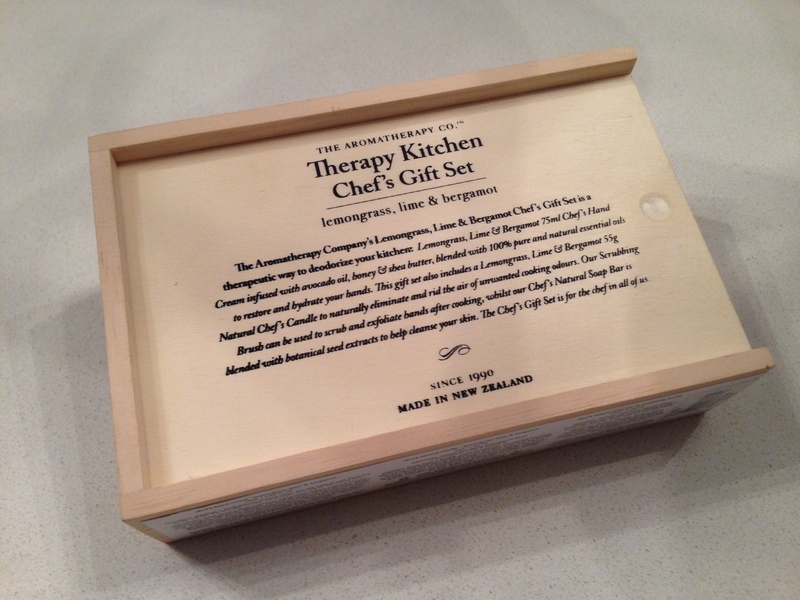 The Aromatherapy Co Therapy Kitchen Chef’s Gift Set is cruelty free, priced at $34.95 and contains Lemongrass, Lime & Bergamot Chef’s Hand Cream (75ml), Lemongrass, Lime & Bergamot Chef’s Natural Candle (in a tin), a wooden scrubbing brush and a Lemongrass, Lime & Bergamot Chef’s Natural Soap Bar (100g). 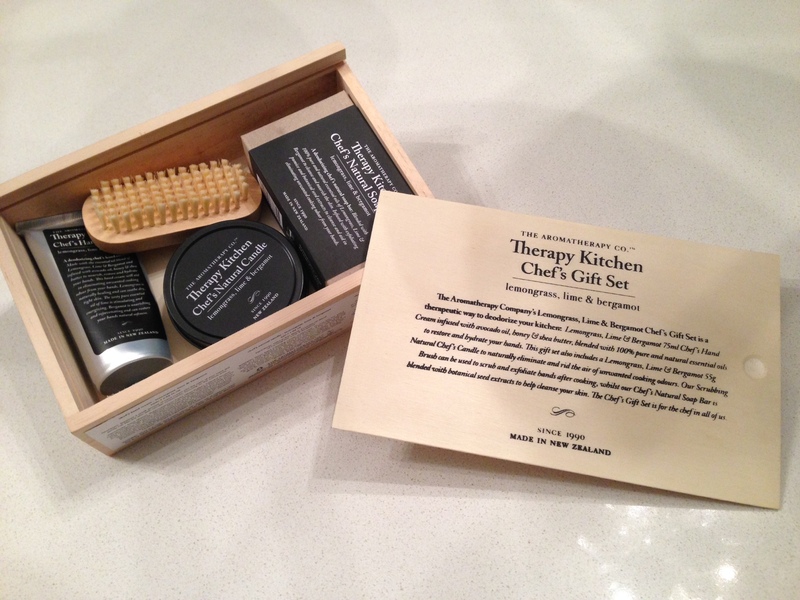 I like to give usable gifts – and I think this would be very usable – and I love the idea as well of being able to share great cruelty-free products with my friends.